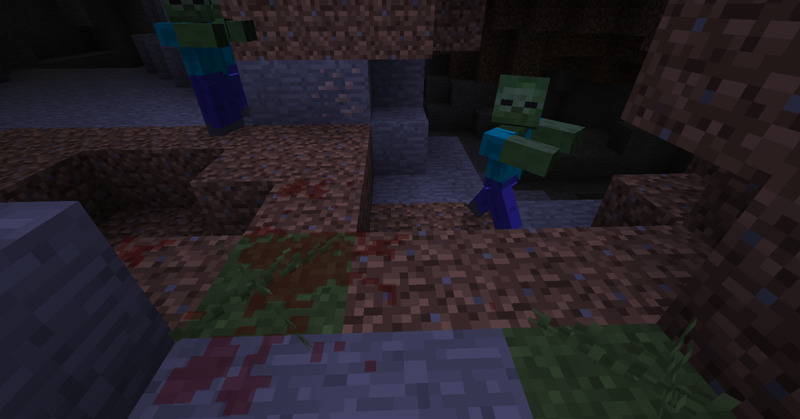 Minecraft's zombies may look and sound great, but they are hardly a serious threat. 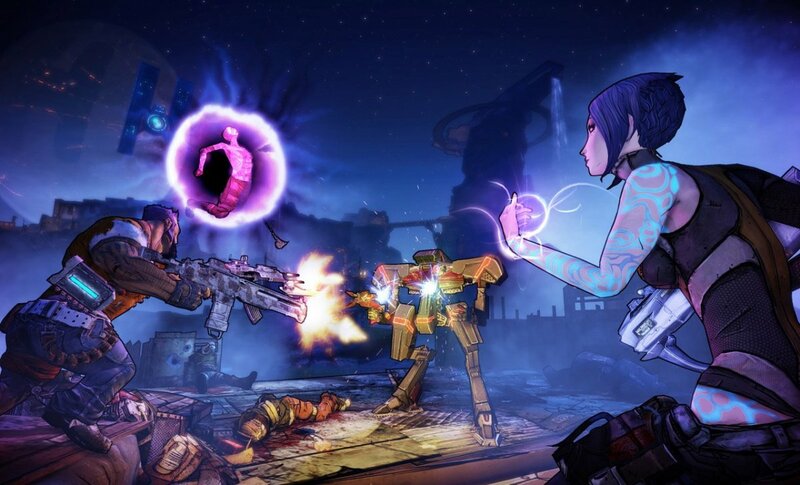 Even when playing on the highest difficulty, where they do much more damage and can break down doors, their slow speed and idiotic artificial intelligence only makes them dangerous if the player intentionally fights them, and even then someone with a decent sense of timing and a little patience can easily slay them with their bare hands. 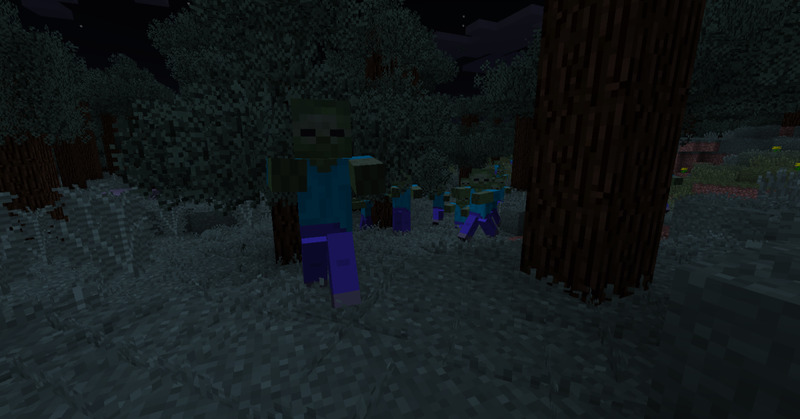 As the game progresses, zombies do start to hit harder and live through more attacks thanks to Minecraft's area difficulty system, but even the most well-equipped zombie can easily be dealt with thanks to their awful speed. 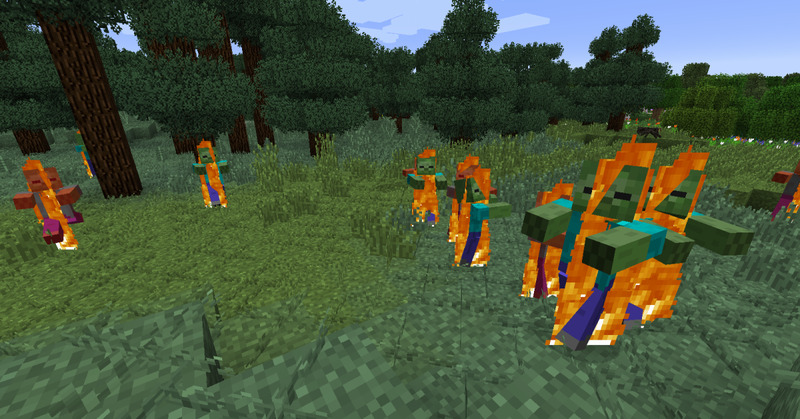 But simply making the undead move faster is not a great option: their basic model is not built for anything beyond walking speed, quick-moving enemies are not a good thing to have during the extremely early stages of the game, and there is a certain charm to their shuffling walk that Minecraft might just be worse without. Which is why the changes made by Zombie Awareness are so good for the game; they make the living dead a much greater threat while only barely affecting their physical capabilities. One of Zombie Awareness's more important changes is to make the undead group together in large packs, which means that players will need to rethink most of their strategies for dealing with them. What is probably the most obvious change brought about by Zombie Awareness are the large swarms of undead that can sometimes appear at night. But the mod does not simply increase how often zombies appear, in fact, lucky players or those down in the caves may not even see more than one or two moving corpses in an entire night. 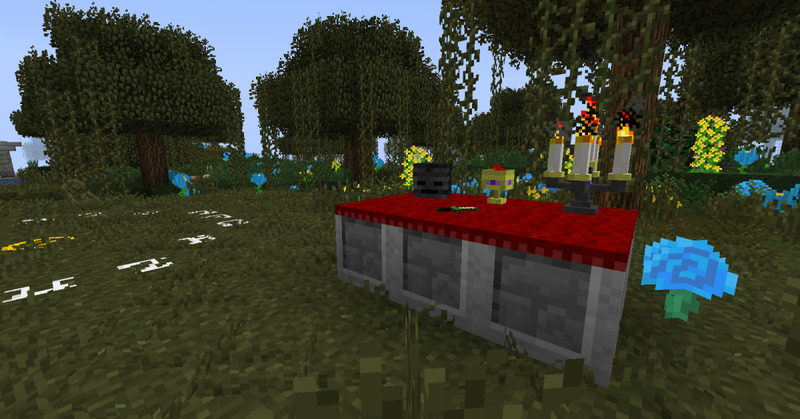 Instead, zombies can now group together with any other undead that they see, and if they locate a tasty-looking player the entire horde will begin heading towards them. Groups like that can also spawn in all at once, and those bands can then merge together with any other nearby packs of undead, allowing for absolutely massive swarms of zombies that will try to charge the player down, forcing them to either run, or attempt to fend off an entire army. Blood may occasionally be left behind by injured players, and any zombies within a very large area will be able to smell this and will attempt to move towards it. And increased numbers and group AI are not the only enhancements that the living dead have received; their ability to detect players has been made significantly better. They can now see further and will begin moving towards any sources of light that they detect in hopes of chowing down on a player's innards. Their ears have also been improved, and if one begins mining near a zombie, they will be able to hear that sound and will attempt to move towards it. Even their sense of smell has been enhanced by the mod: wounded players will occasionally leave bloodstains behind them, and any zombies that catch a whiff of these will start heading towards that stain. This means that injured players will have to keep on the move or find a truly safe location to heal up in, and those who think they can just hide for a few minutes while their health regenerates are instead likely to attract even larger hordes than they had to deal with in the first place. 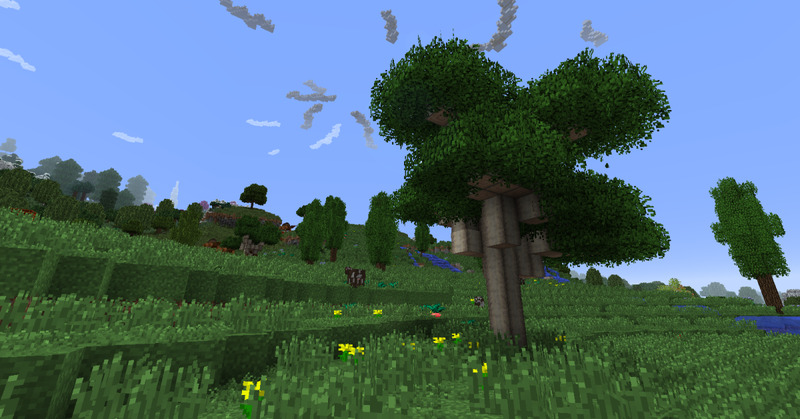 It is wise to build some kind of fortifications around one's home, as the undead can sense players from quite a distance away, and will attack in much larger numbers than in normal Minecraft. 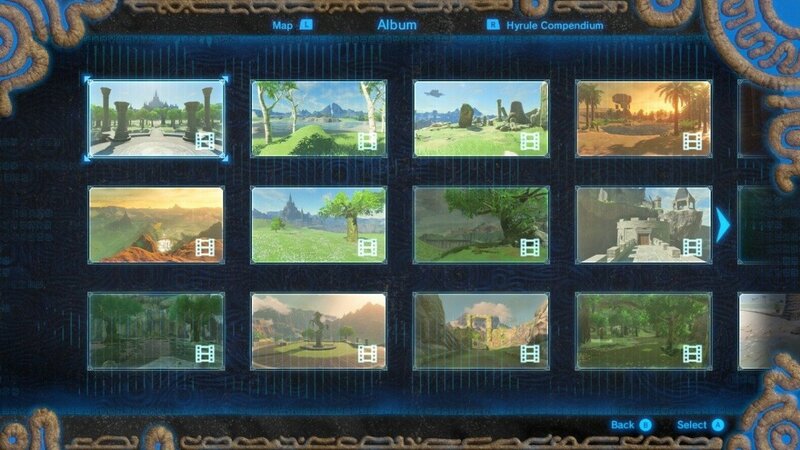 All of this comes together to give the player a lot more reasons to construct their homes with a mind towards the undead. Simple base defenses such as walls are almost a requirement for those who want to build throughout the night, and on hard mode it is an extremely good idea to have multiple ways to exit one's home. The increase in numbers also encourages traps and grinders to be constructed to catch any of the walking dead who come near, and with a little work, one can turn those nightly invasions into a great source of almost free food and iron. 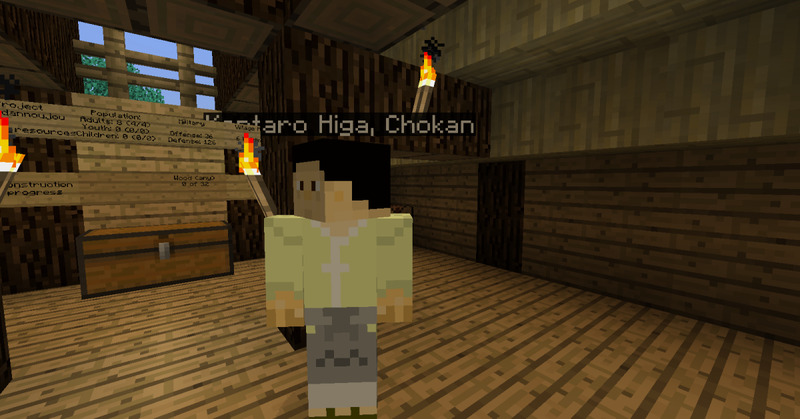 And of course, lighting one's home becomes far more important than it normally is, as just a few iron golems will not be enough to protect the player for more than a night or two. While the sharp increase in numbers makes zombies much more dangerous, it also means that those who manage to survive the nights will be able to gather large amounts of items each morning. The changes also mean that attempting to directly fight off the undead is much more difficult, though certainly not impossible. Their greatest weakness, speed, is a major issue no matter how large a pack gets. 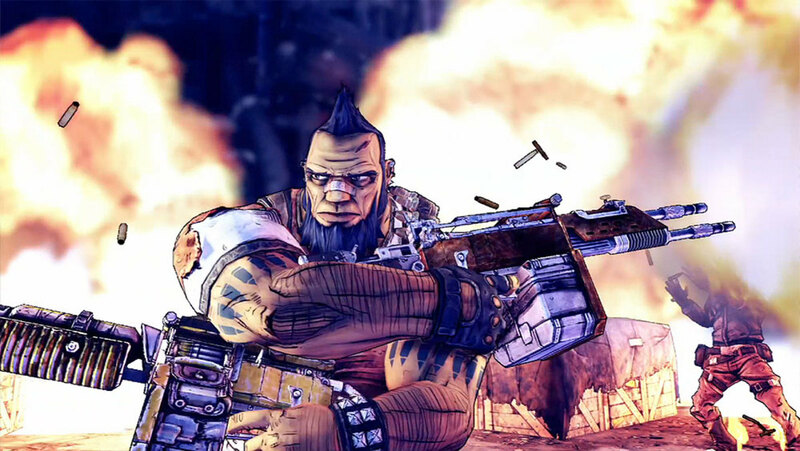 Skilled players can still strike at members of a horde without getting too close, and so slowly whittle the group down without taking much damage. 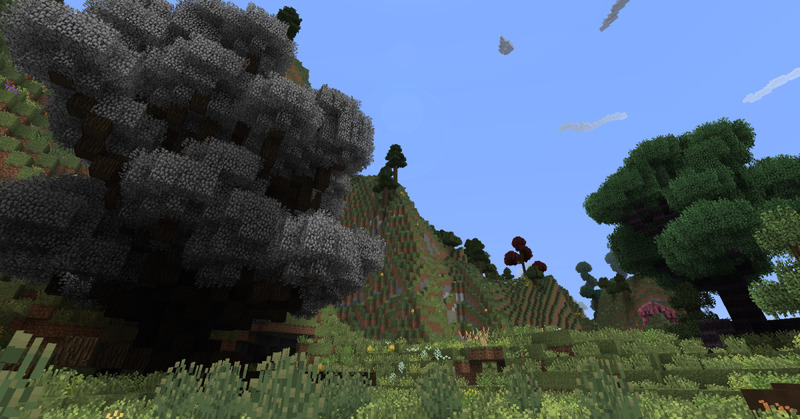 However, the increase in numbers means that it is a lot harder to keep track of the location of every zombie in a crowd, and when in forests or other cluttered areas a pack may get broken into a large number of smaller groups, which can be quite difficult for the player to safely manage. Adding to this difficulty is the fact that the undead's increased detection ability forces one to always watch their backs during a fight, as it is quite common for wandering zombies to spot the player and move in from behind. Altogether, this means that fighting the undead has become a much more difficult prospect in which careful positioning and awareness of one's surroundings is required just to survive. It is possible to defeat a zombie horde with only melee weapons, but players will need to keep a good eye on their surroundings or else risk being attacked from behind. By default, Zombie Awareness is a hard mod, but players can tweak every aspect of the difficulty to their liking through the plugin's impressive configuration files. When using the basic settings, only zombies and skeletons will use the new AI, but any of the other monsters in the game can be given the undead's sense of awareness by simply removing their name from a blacklist. Each one of those enhanced senses can also be made stronger, weaker, or disabled altogether, and the various parts of the group intelligence systems can be disabled as well. 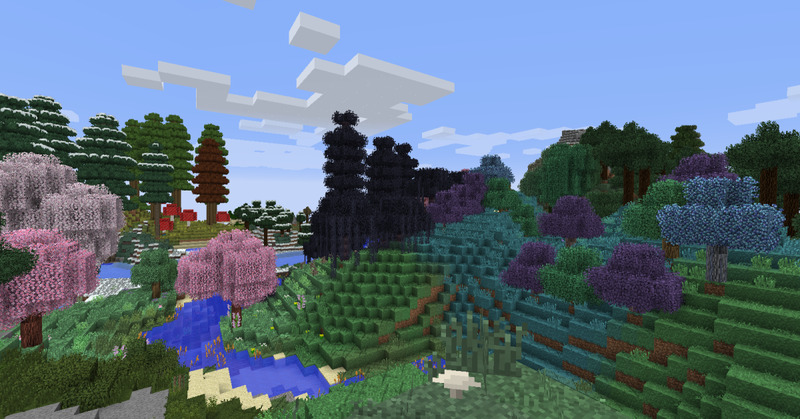 The various spawning rules can also be adjusted as needed, and it is a simple matter to increase or decrease the distance at which zombies can spawn, how often they appear, and the chance of large packs generating all at once. 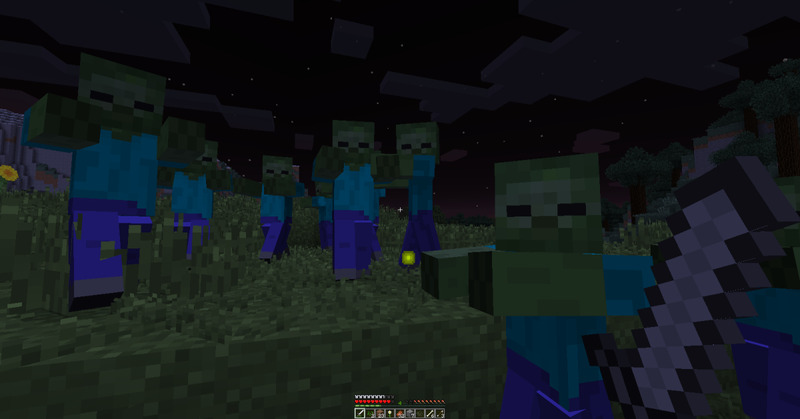 The player can even lower the maximum amount of undead that can exist at any one point in time, so those on older systems do not need to fear the zombie plague destroying their computers before even reaching their homes. Zombie Awareness is one of few cases of a mod providing a purely skill-based challenge: while the hordes can overwhelm the player with their increased numbers, those who are aware of their surroundings will almost never be cornered by the undead. Altogether, there are almost no real negatives to dealing with this zombie apocalypse. While it can make the game much harder, the increased challenge is purely skill-based; built around managing the hordes through footwork or base defenses rather than providing a simple statistical improvement to the enemy. Those with the capability to keep track of multiple enemies and who are careful enough to not leave areas around their homes where the undead can swarm in from, will find the mod's changes to simply add a nice bit of spice to their game. And thanks to the impressive configuration files, players can easily set the mod up to only improve the undead's intelligence, supply that extra brainpower to additional monster types, or disable any part of the mod that the find issues with. 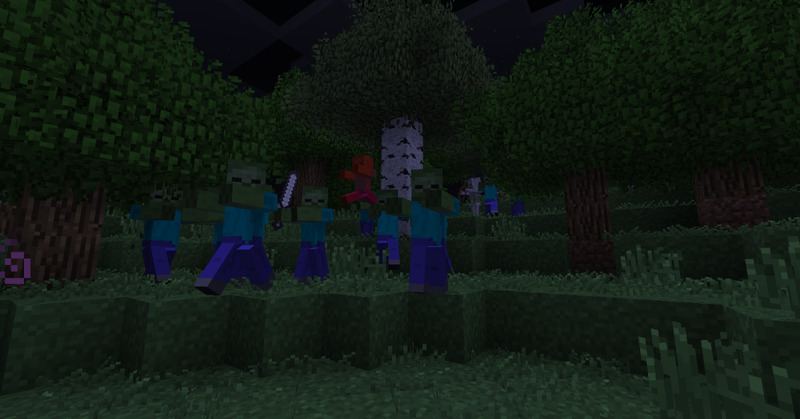 Zombie Awareness may only change a relatively small part of the game, but it brings a sense of danger to Minecraft that many players have not felt since their very first night.